An effective CRM system can mean the difference between customer attrition and business success. Customers are increasingly becoming brand-insensitive, and they want top-notch customer service every time they transact online. That’s why it has become increasingly important to have a structured CRM strategy for your online retail store. Ecommerce managers need to be on top of everything when it comes to customer relationship management, and they need all the tools that they can use. Some of these tools are being used by the largest ecommerce stores in the world, while others are hidden gems that are quite helpful. According to Salesforce’s research database, CRM tools can increase sales by up to 29% and productivity in the sales department by 34%. They’re also immensely helpful when it comes to forecasting as they can boost that by 42%. Other research houses have shown a relationship between sales reps who use mobile CRM and those that don’t. Almost 65% of the sales reps that have adopted mobile CRM have achieved their quotas, with only 22% reaching there using non-CRM tools. Salesforce has some of the most sophisticated tools in the market when it comes to CRM and customer data management. They provide a host of solutions that allow you to create new insights from customer data, as well as refine existing data imported from other resources. The cloud technology backing Salesforce is behind much of its success in the marketplace. You can easily track data and unveil key insights that can provide deeper perspectives in the ecommerce store you’re managing. vTiger is a great online tool that’s designed to give you more control of your customer data. It’s designed to help B2B brands win new deals much faster. By providing you with more access to client and customer data, the tool can increase efficiencies across the board for your business. Their overall goal is to simplify pipeline management, which can be done in many forms. The Kanban, which is an integral part of the vTiger solution deck, helps you prioritize the communication and context that’s pertinent to you. Zendesk is one of the most popular CRM tools available right now. This is because of its ease-of-use, and its turnkey design. You don’t need to be an expert on coding, or platform management to be able to use Zendesk. You can start with a plan that’s as low as $5 a month per agent and get your own CRM system running from the get go. It’s one of the most popular tools online, as it helps streamline customer communication. Nimble is a mobile first CRM platform that leverages the full utility of the cloud. With its innovative solutions and holistic CRM approach, it has developed some of the most advanced tools for ecommerce managers. You can access rich profiles, past meetings, email conversations with them and analyze everything while you’re on-the-go. You can learn so much about the person you’re having a conversation with the Nimble cloud solutions. HubSpot offers ecommerce owners a free CRM suite that’s equipped to take on any customer relationship problem. From lead analytics to company-based dashboard, you can start your CRM journey with HubSpot’s free offering. No setup fees, no maintenance, and no coding required. 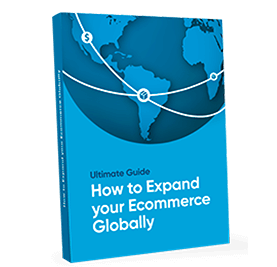 You can even use it with Shopify or WordPress and get started immediately. Zoho is quickly becoming one of Silicon Valley’s preferred CRM software tools. The CRM system is a part of the Zoho cloud offering, giving ecommerce stores data management and integration capabilities. Not only does Zoho allow you to analyze the data you’ve collected over the years, it’s AI tool Zia can do some of that work for you. It’s automation at its finest, and Zoho is doing some amazing things in this domain. Insightly is all about how best the app can use graphs to illustrate data. When it comes to visualizing the way that your data is handled and it’s CRM systems, Insightly is a great tool to accomplish that. Starting at $29/month it’s a cost-effective way to get leverage and insights about your CRM practices and content within. Everything from emails to sales pipelines can be seen visually and reviewed by multi-tiered teams. Pipedrive is an innovative CRM tool that’s easy to use and designed to be as simplistic as possible. There’s a free-to-try option and you can easily integrate the tool based on what ecommerce backend you use. You can empower your marketing team with the help of CRM and the power of Pipedrive’s simplicity. Anyone can access it and get to start working with it quickly. Nutshell is a specially designed CRM tool for B2B ecommerce applications. There isn’t a lot of bells and whistles on this one, and it can take on a lot of heavy load in no time at all. Nutshell has many features that allow it to perform at a peak level. When it comes to usability, Nutshell ranks among the highest in the CRM list for ecommerce websites. Freshsales is another excellent ecommerce CRM platform that’s been around for many years now. Multiple large brands have trusted this site with their CRM systems. You can sign up for free and see why Freshsales can be the right option for you. CRM is one of the most important areas of focus for ecommerce managers looking to enhance their business. Since customer data analysis is such an important component of business success, it’s good to have a large set of key CRM tools on-hand. Otherwise, you might be missing out on key insights that you could have otherwise leveraged. CRM is a great addition to any ecommerce practice and it requires minimal setup to get started. Install these tools for increased conversion and maximum customer communication and engagement.